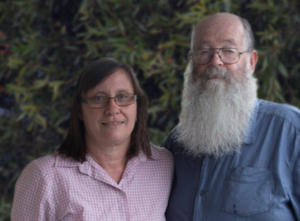 Dennis & Glenys Tranter serve with Gospel Recordings Network (and APWM) by producing Bible related materials in Aborginal English. We are looking forward to their visit to us on Thursday night October 13th for a shared meal at 6pm in our hall, followed by an update on their ministry at 7:30pm. All are welcome! PS: Dennis promises that he has trimmed his beard!